Stir together the yogurt and honey. 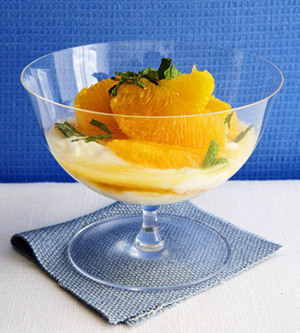 Spoon yogurt mixture over the orange slices; scatter mint on top. PER SERVING: 171 cal., 34 g carb. (5 g fiber), 11 g pro.